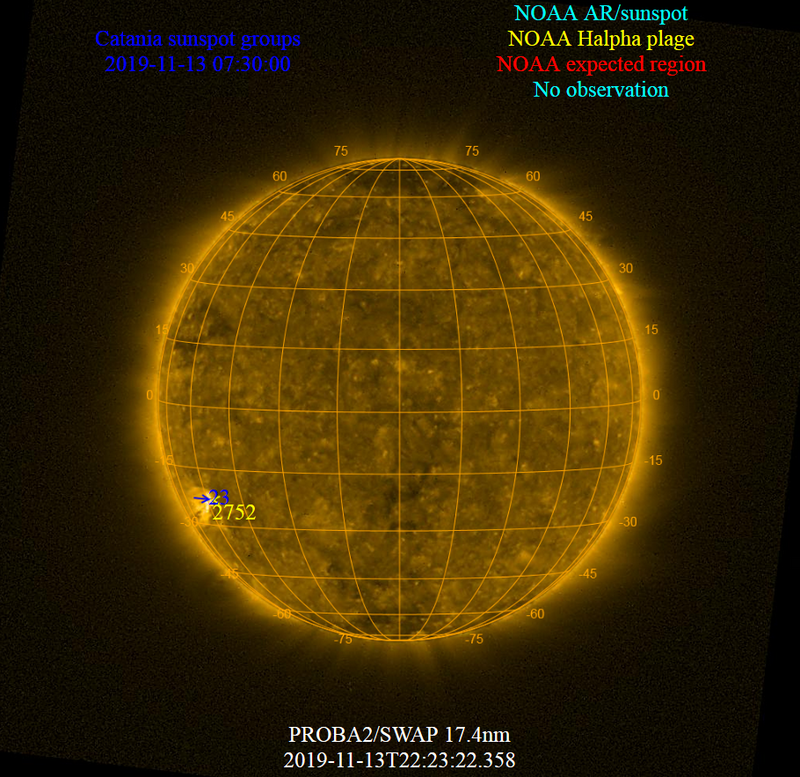 Click HERE for an interactive solar flare and CME summary for recent events. Magnetic Class: See bottom of page for more information. Spot Class: See bottom of page for more information. Up / Down: / arrows in brackets indicate the change from previous day. Area Size: Refers to Sunspot Area measured in Millionths to the Sun's visible hemisphere. 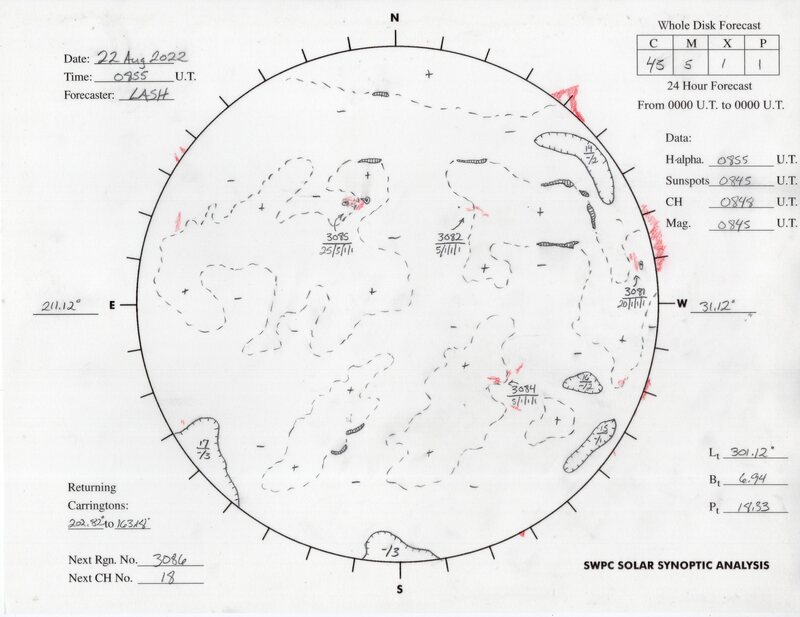 "New" Icon: The Icon displays for 48 hours after a Sunspot being numbered. The Visible Disk is Currently Spotless. Example: A region labelled as having a magnetic classification of BG indicates that the sunspot region contains a mixture of magnetic polarities, but the dominant polarity of the group is bipolar. Potentially very powerful and potent regions are those which have classifications of BG, BD and BGD. As magnetic complexity increases, the ability of an active region to spawn major energetic events likewise increases.